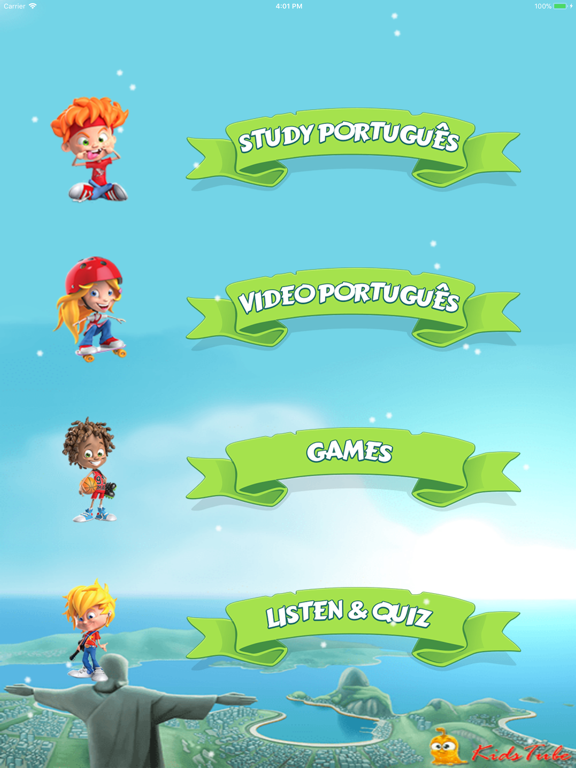 Learn Brazilian Portuguese Vacabulary is an educational application for your beginner to learn portuguese effectively. 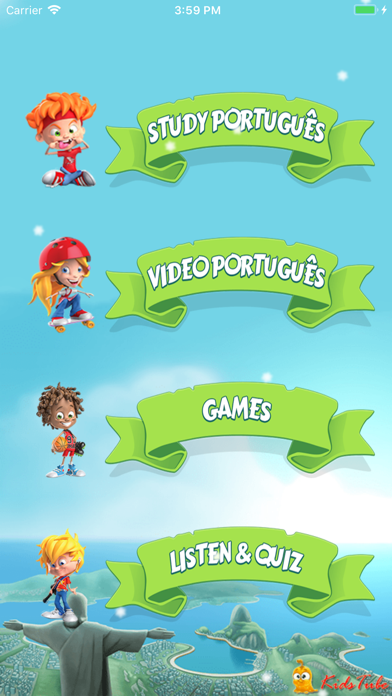 With this free app to learn portuguese for beginner, beginner can recognize portuguese Alphabet, animals, fruits, color, food, numbers.... 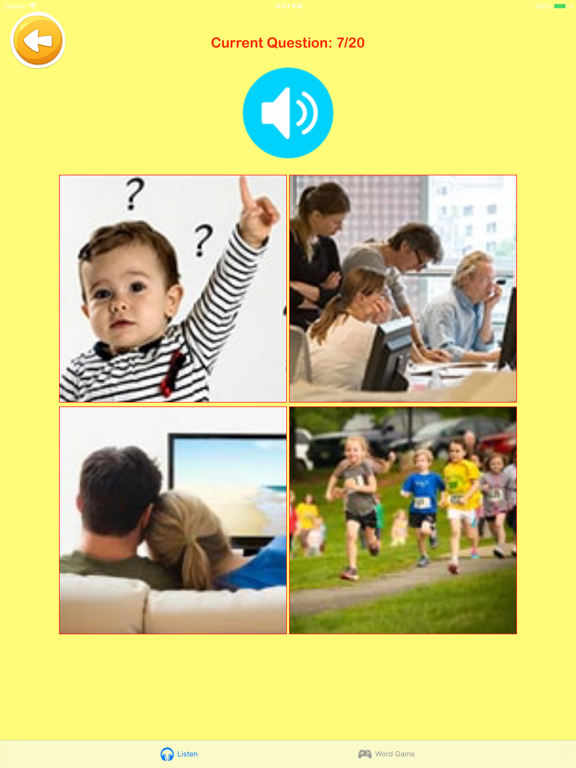 Teach Portuguese for beginner is important language for beginner development. Learning while playing is the best fun and effectively way for your beginner to learn portuguese easy. 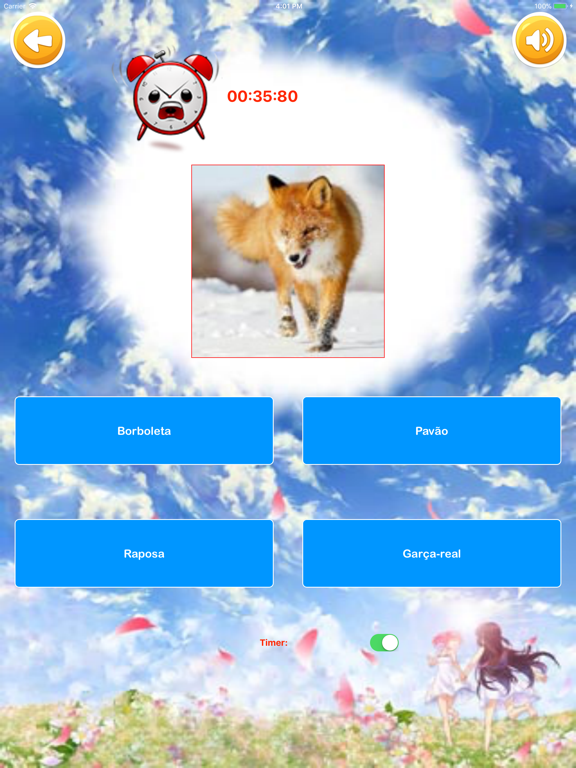 So, Learn Brazilian Portuguese Vacabulary has 3 fun game. 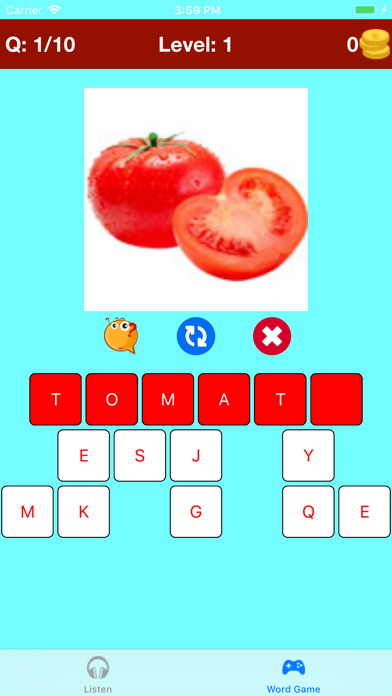 In game, beginner can practice phonics Portuguese, help beginner remember vocabulary better. One word will be automatically pronounced, beginner have to listen what is it, then choose true image by touching screen. Let’s your beginner learn and play now! Learn Brazilian Portuguese Vacabulary has 26 topics which are around beginner real life, 694 words vocabulary with sound and images of them . You can use all of them without network, it’s free. 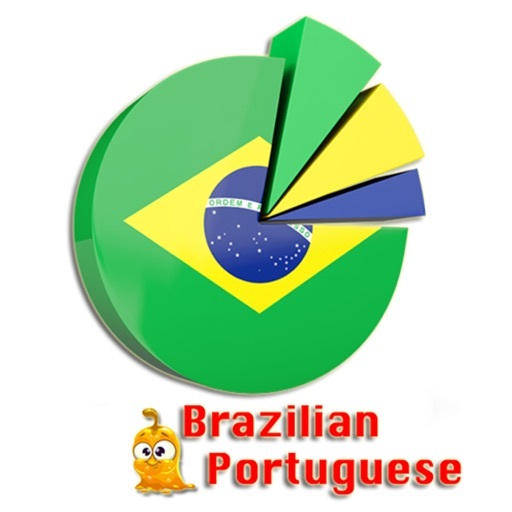 * Portuguese Alphabet: 26 Portuguese letters of alphabet and beginner can watch many ABC songs, Alphabet videos in Videos Portuguese. 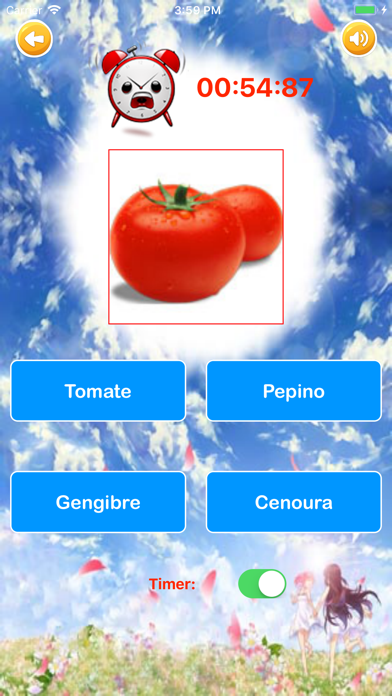 Learning by image brings better results for learn portuguese for beginner. 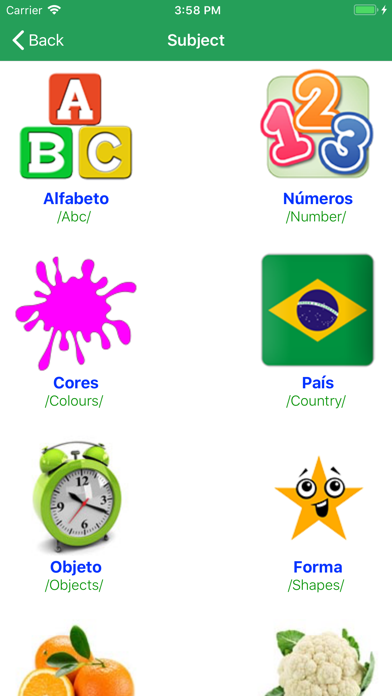 * Numbers: Beside ABC alphabet, this learn portuguese for beginner also provide about 1- 20 numbers of section that helps beginner learn portuguese number conveniently. * Animals: includes 90 animals with real pictures of them. 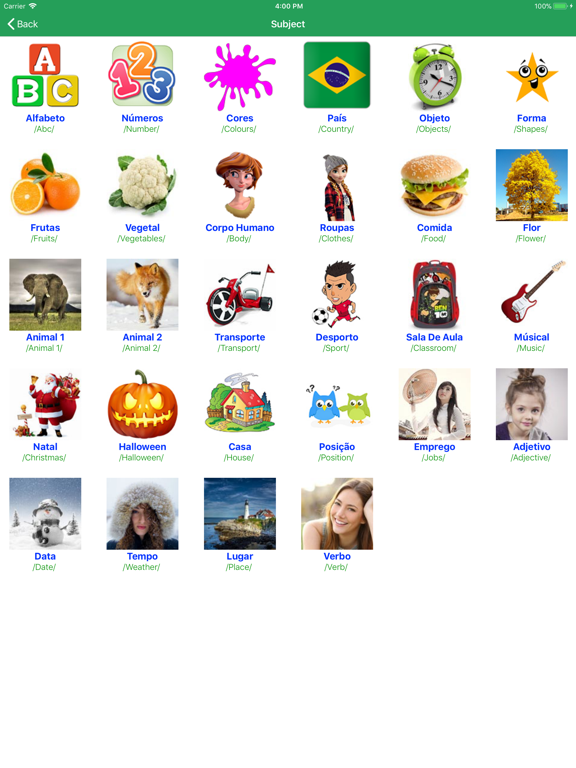 Your beginner very love animals so it help beginner impression and want to learn portuguese. * Transports: 24 pictures of vehicle in portuguese for beginner, which all of beginner are interested! * Color: 18 colors in portuguese for beginner. * Country: 60 countries with engish name for beginner. * Vegetables: 40 popular of vegetables arround the world. All of us is portuguese name for beginner. * Fruits: The 51 Healthiest Fruits On Earth with real picture. Your beginner very love it and you can find the way to get your beginner to eat better. * Flower: includes top 22 flowers beautiful in the world. Your girls will very like them and help beginner learn portuguese name of them. * Food: have 40 portuguese words for many different types of delicious food. * Object: 40 common objects in real life. beginner will learn portuguese name object around their life. * Shape: 26 type of shapes in portuguese, the app helps to build the skills and knowledge of your beginner in a playful manner. * Job: 50 portuguese name of Professions & Jobs will help beginner know about your dream jobs in the feature. * Verb: Learn and study the most frequently used 50 Portuguese vocabulary verbs used in speaking portuguese daily. * Adjectives: beginner can learn 30 adjectives common in portuguese to describe physical appearance. * Nature: 18 pictures of nature will help your beginner knowledge about nature. * Classroom: 24 popular objects in school. * Dates: includes 7 days of week, 12 months and 4 seasons in a year! * Christmas & Halloween: During festivals like Christmas, Halloween and New Year a lot of vocabulary related to celebrations can easily sink into beginner. 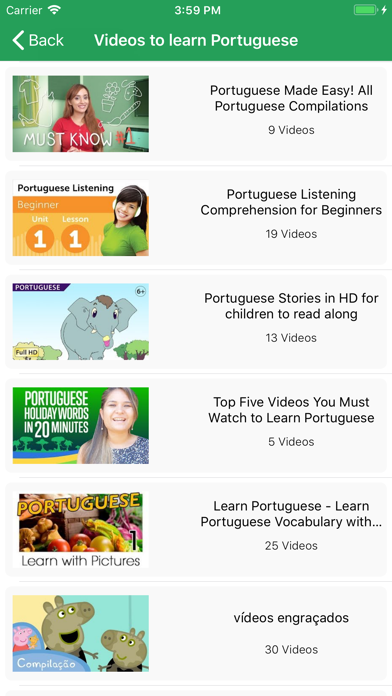 * 643 best YouTube videos compilation for beginner to learn Portuguese. These videos will get your beginner’s attention as they are funny and your beginner won’t make that much effort to enjoy them. * Videos in this app do not belong to us, we collect all from YouTube and just link to them for education purposes. We don't show ads on those videos. If you see any video of yours and don't want us to link to it, please email us! (app.beginnerTube@gmail.com) I will remove them!